As a B2B marketer you may consider LinkedIn nothing more than a job search site, but if that’s what you’re thinking, you’re dead wrong. While LinkedIn is without question the first place people go when they’re looking for a new job, the world’s biggest business social network is also a veritable powerhouse of business opportunities. Want to know why LinkedIn is the most important channel for B2B marketers — let’s go! If you’re a B2B marketer who is not yet using LinkedIn as a key part of your business strategy, the data may well lead you to change your mind on that front. Let’s take a look at what is happening on LinkedIn and why you should be paying more attention. More importantly, let’s think about why LinkedIn is the most important channel for B2B marketers. 146 million active users in the U.S.
Now, what about the specifics of those users? Here are some stats that might surprise you. Hmmmm. 61 million senior level influencers who are decision-makers using the site? Tell me again why LinkedIn is a waste of your sales team’s time—or your marketing team’s time …. I’m listening. Now, let’s talk about those LinkedIn users and their behavior – and think for a minute about what an opportunity that presents for you. Almost half (45 percent) of LinkedIn article readers are senior level influencers. So almost half of folks who are reading articles on LinkedIn are senior level influencers. Okay, that’s your target audience. And only a tiny amount of the 500ish million users are bothering to share content on the site, and a very few are going to the trouble of publishing any content of their own on LinkedIn. What a tremendous opportunity for thought leadership, credibility, subject matter expertise, etc. exists for you and your team. A little secret? LinkedIn has always been the most important channel for B2B marketers, but as I showed you above, there are a whole lot of people—both marketers and sales teams from companies of all sizes —who’ve not yet figured that out. What does that mean for you? Two words: Competitive Advantage. Let’s talk more. Content distribution. LinkedIn is the platform B2B marketers turn to first when it comes to distributing content. As you can see, there’s a reason marketers rely on LinkedIn as part of their content marketing and content distribution efforts—468 billion of them, actually. These are some impressive stats by any measure, and there’s really no good reason to not be using LinkedIn if you’re a B2B marketer and if you’re in sales or business development. Period. Website traffic. Not surprisingly LinkedIn is responsible for driving more than half of all visits to B2B websites and blogs. Equally as important, LinkedIn is considered the most trusted and reputable source for quality content. LinkedIn and B2B marketing executives. More than nine in every ten (91 percent) of B2B marketing executives report a preference for LinkedIn for sharing, creating, and finding engaging, high-quality content over all other social media platforms. Lead generation. When it comes to lead generation, LinkedIn is responsible for delivering 4 out of every 5 leads from social media, which is 80 percent of all leads from social. Sixty five percent of B2B companies report acquiring a customer through LinkedIn. Lead conversions. LinkedIn is a conversion machine, converting B2B leads into sales at a rate of 2.74 percent. Compare that to Facebook at 0.69 percent and Twitter at 0.74 percent. So now you know the potential of LinkedIn, how do you take advantage of the benefits on offer? Quality not quantity. Some social networks might be all about the numbers, but on LinkedIn the quality of your network is key. Make connections wisely. Invest time in connecting with influencers and decision makers in your target market. The same is true of the content you share on LinkedIn. Don’t autopost the same content you share on Twitter or Facebook to LinkedIn because it’s easy, be mindful about what you share on LinkedIn and respect your audience by moving beyond the allure of autoposting and actually putting thought into what it is you’re sharing there. The benefits will far outweigh the small amount of time you’ll spend on this. Monitor, Test, and Tweak. You will never be able to improve the effectiveness of your LinkedIn strategy if don’t know what works. Incorporate a constant culture of testing and analysis to learn, adapt, and improve. Generate a monthly report that shows how the content you’ve shared there performs, how your audience has grown, and use that to build a roadmap of what to do moving forward. Identify content that works. There’s a lot to choose from when it comes to the content you can use on LinkedIn. You can share blog posts, infographics, images, whitepapers, video, etc. Pay attention to what seems to resonate with your audience and plot your strategy accordingly. Ask the question, but don’t be a loser. Don’t be afraid to add relevant CTAs to the mix of the content you’re sharing. But respect your audience—please don’t use LinkedIn as a brand-centric sales channel. Nothing will cause people to tune out more quickly than if you’re that person, or that company. That’s where you have another competitive advantage, because a great majority of corporate LinkedIn accounts are always focused on the sale, and rarely focused on the customer or prospect. That’s where you can be different, and win. Paid advertising. Experiment with LinkedIn ads and sponsored content targeted at specific industries, job functions, or job titles. In fact, if you’d like to explore how to use LinkedIn as part of your B2B marketing strategy, and want to learn how to master LinkedIn advertising, join us for a webinar on Wednesday, January 16th at 8:30 am PST, 11:30 am EST, featuring my great friend Yoel Israel from Wadi Digital. He’s the guy when it comes to delivering great results with LinkedIn advertising and it’s sure to be a fantastic learning experience. 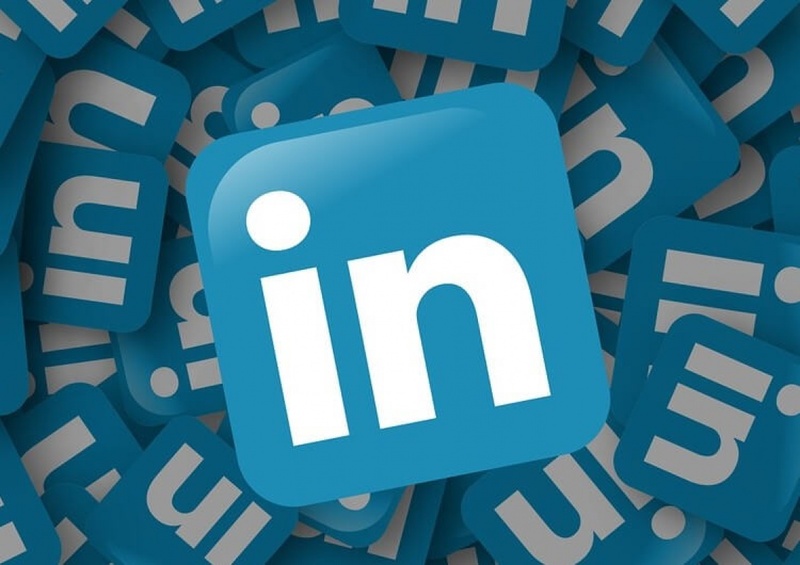 Do you use LinkedIn to power your B2B marketing and lead generation efforts? I’d love to hear about your experiences with what I consider to be an essential part of the B2B marketing mix.